They say humanity runs on coffee. 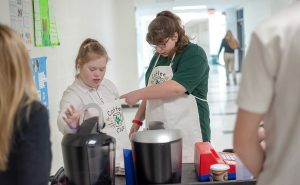 For evidence, look to St. Patrick’s High School where a group of eager students are delivering cups of java right in the hallway. 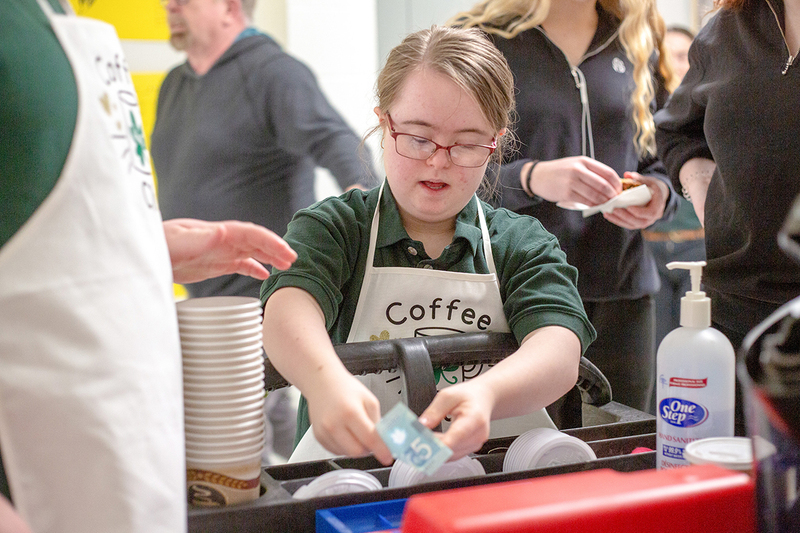 Participants in the Community Pathways program operate a mobile coffee cart each morning, selling coffee, tea and treats to staff and students while developing working world skills. Each of the special needs students has a role to play in the operation, explained faculty lead Sarah Meza. 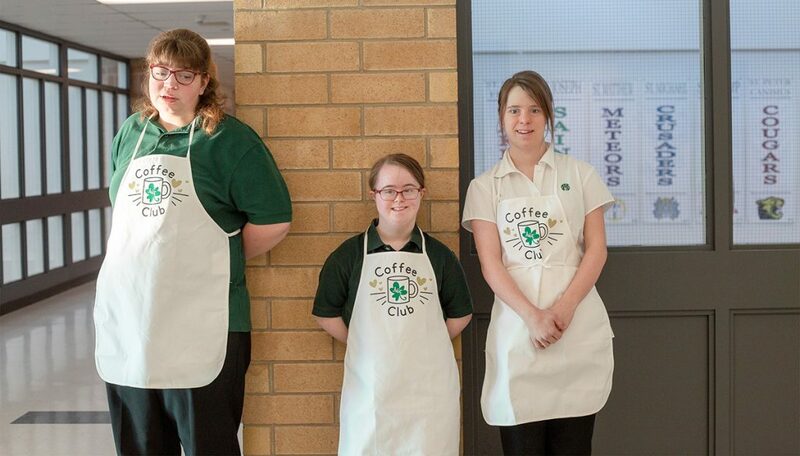 Three baristas — Morgan D’Hooghe, Heather McAllister and Rachel Willemse — fill orders and handle money while Sydney Vrolyk goes classroom to classroom, taking orders and making deliveries. The enterprise lets her “work hard and be happy,” said a smiling Vrolyk. 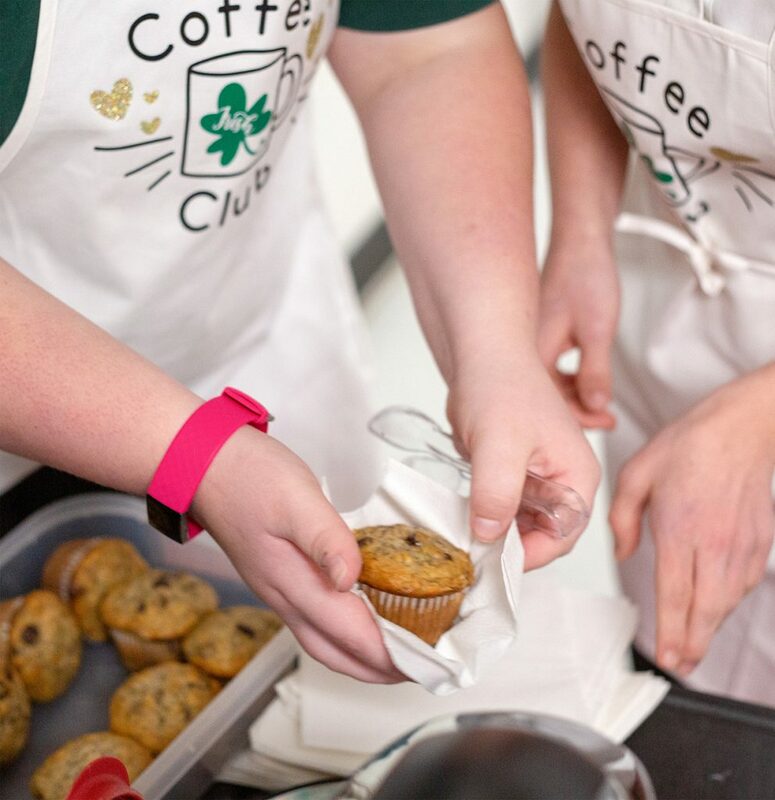 Muffins are on the menu daily from the St. Pat’s coffee cart. The coffee cart was launched with donations from the London Diocese, Catholic Women’s League and Watford Optimists, but the operation is now self-sufficient, Meza said. 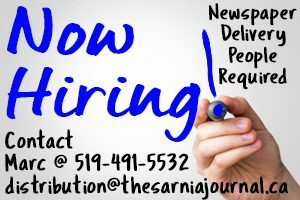 “They have a lot to offer, and it’s providing them the opportunities so they can hone their skills,” she said, noting the experience also helps equips participants for community co-op placements. Profits from the venture go right back into the business, and occasionally there’s enough to pay for an off-campus day trip, Meza said. They’ve also earned enough to invest in a second cart, to be staffed with more students from the Pathways program. 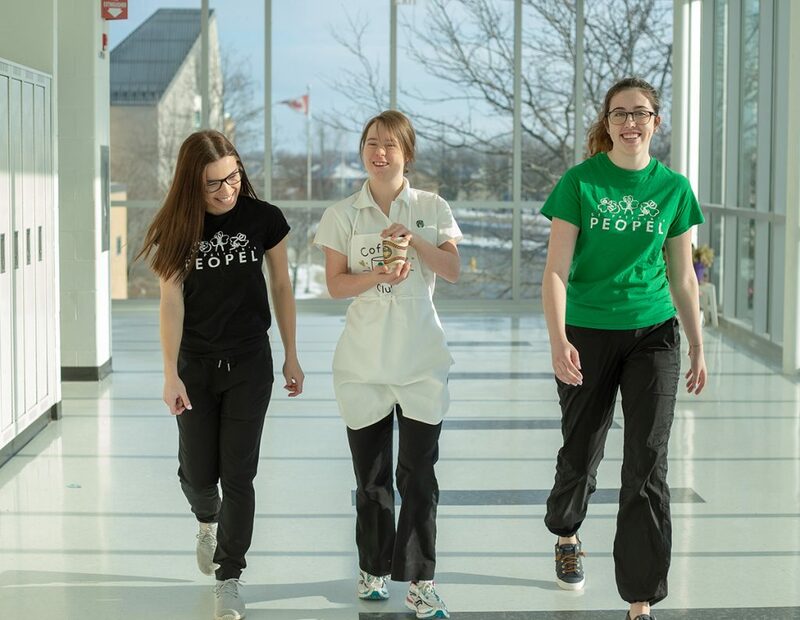 St. Patrick’s Grade 12 co-op students Jenna Drapotoy and Vanessa Maggs accompany Sydney Vrolyk, centre, on a classroom coffee delivery. Educational assistant Barb McNair and St. Pat’s co-op students Vanessa Maggs and Jenna Drapotoy are around to help, but at arms-length. The coffee team does the work. “They’ve totally taken ownership and they’re very proud, as they should be,” said Meza. Running a successful business has boosted confidence and improved communication skills, with some previously non-verbal students now talking comfortably to coffee customers, she said.